Tramadol is a synthetic opioid analgesic medication commonly used to treat chronic or severe pain. Approved for marketing in the United States in 1995 under the trade name of Ultram®, you may now see it under a number of brand names, including ConZip, FusePaq Synapryn, Rybix, Ryzolt, and Ultram. Although tramadol has proven to be safely used as prescribed, it can be highly addictive. Users experience side effects and withdrawal symptoms similar to those of other opioid analgesics. 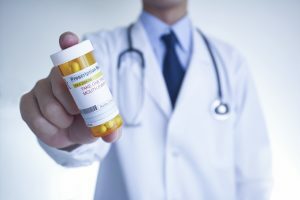 When will a doctor prescribe tramadol? Tramadol is commonly prescribed to treat chronic pain associated with osteoarthritis, cancer, and other chronic conditions. It has also been prescribed as a treatment for suddenly occurring pain as needed, such as for an injury. The FDA has not approved tramadol for children under 18 years of age because of a higher risk for breathing problems. A doctor will also avoid prescribing tramadol to pregnant or breastfeeding mothers because mothers may pass the drug to their children during pregnancy or nursing. 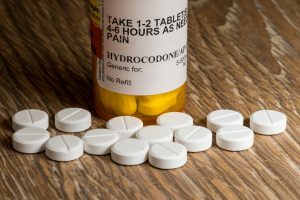 In August of 2014, The U.S. Drug Enforcement Administration (USDA) listed tramadol as a schedule IV controlled substance due to its risks of addiction and overdose. These risks are amplified with ongoing use, use in high doses, and use without a proper treatment plan from a doctor. Seek help from your doctor if you experience any severe side effects, and always report any other side effects to your doctor in general. How can tramadol be successfully used? Doctors typically prescribe tramadol as needed for pain, about every four to six hours. To avoid nausea, take with food. Doctors base tramadol dosage on the client’s medical condition and response to the drug as a treatment. Your doctor will likely instruct you to start treatment at a low dosage and may incrementally increase your dose over time. Always follow your doctor’s treatment instructions carefully. Never try to increase your dose, take it more frequently, or take it for a longer time than prescribed. When you no longer need the drug, follow your doctor’s instructions carefully to avoid withdrawal symptoms. What do I do if someone is addicted to tramadol? As with all addictions, the journey to recovery begins with seeking help and support of people who can guide you to a healthier, happier life free from harmful addictions. 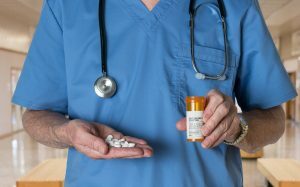 If you or someone you know shows signs of addiction to tramadol or other prescription medications, it is important to seek the help of experienced medical professionals who can support you through every phase of recovery, including the management of pre-existing pain. At Sprout, our comprehensive approach to treatment considers the unique experiences of each client to develop a plan that addresses your overall health and wellness, in addition to your immediate medical needs.